As I continue to work with the Angels, I get visual reminders and memories of times that the Angels were guiding me and protecting me. This morning I received one of those reminders. As I tossed and turned this morning, I received one of those reminders as I was trying get back to sleep somewhere around 4 AM. This seems to be the usual time the Angels and other loving beings tend to be able to speak very clear to me when it is time to get a message out and write. After settling in and clearing the random scattered thoughts, I was shown a vision from when I was 16 years old. Although I didn’t know it at the time, strong protective forces of love had already been guiding me and communicated with me keeping me safe and alive. As I wrote that last sentence, I once again realize how important it is to listen to the inner guidance that we receive. Listening holds the intention of taking action. Although God and the angels and other light beings are in constant contact with us, and us with them, the more conscious we become about that guidance and connection, the happier, the healthier and the more prosperous our lives can be. On the day I was shown in my vision this morning, I remember going and getting my hair cut. At that time I lived with my mother across the street from the beach in a one-bedroom apartment. We didn’t have a lot at that time, but I remember my mom always using the resources she had to make things the most beautiful and give us unique places to live. That day I walked to and from the hair salon. It was a far walk, and I could’ve taken the bus, but that wasn’t cool, so I knew I would rather walk. I remember just being lost in my thoughts as I walked home. Not really aware of anything or anyone around me. I was wearing a yellow cotton sundress, one of my favorites. I was thrilled with my haircut, and I felt beautiful that day. The apartment building we lived in at the time had 8 units, four on the bottom and four on the top. The staircase to the upper floor where we lived was on the outside of the building. As I climbed the stairs and was about three quarters of the way up, my happiness turned to great fear. Everything happened so fast, and only after many decades now is it clear to me what happened. I didn’t hear the man behind me. I just know now, and only now, that I had a thought and heard the words there is someone behind you. I instantly turned around and began to scream and moved towards the man. I now know that Archangel Michael and other light beings supported me that day. 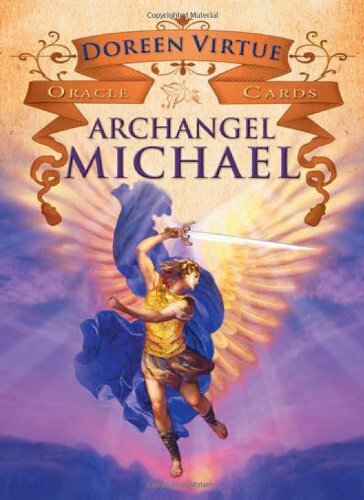 I see myself as having the energy of a knight with sword and shield just like Archangel Michael on that day. I know he was imbuing me with strength and courage to move past my fear. I have no idea what I said or what I yelled, but it was clear to me from how my body felt, and the warning I received, that the man’s intentions were not good. I came at him like a wild animal. I chased him away from the building with my screaming and yelling. I then ran back up the stairs and into my apartment and cried and sobbed. Although the Angels respect our free will and assist us when we give them permission and ask for help, they obviously do their best to protect us from harmful situations. But we need to pay attention. I was protected this day, not because I am special, but because I was obedient to what I was hearing in the moment. Which is called listening in my book! As I remembered this moment from adolescence, I got a little teary. Not from the event itself with the man, but from the love and protection that was given to me that day. As I got teary this morning, the angels told me that my tears were about being worthy. Most of us at some point in our life, have not felt worthy. Often we still have cleanup to do about knowing our worth. In working with the Angels, I have continued to heal and grow and be in a state of worthiness more and more. The Angels and other living beings bathe us in unconditional love. This is the love that fills us. It is this love that allows us to heal our mental thoughts of separation and bring us into a state of being in oneness consciousness. This is our journey home, to ourselves, to love. The same voice of Love that speaks to me, speaks to you. Today, may you listen with a more open heart and take action from a space of knowing that you are worthy and you are loved and you are never alone. Everything that has shifted, healed and transformed in Deborah “Atianne” Wilson’s life has come from the foundational knowledge that it all matters—we all matter. From her gift of spiritual neutrality through the portal of her intuitive abilities, she was invited to change her thoughts, emotions and every area of her life. Abuse, abandonment, rejection, death, divorce, dis-ease, infertility and financial fears invited Deborah to shift from a place of depression, physical pain and egoic misunderstanding to extraordinary places of peace, empowerment, personal responsibility, healing, joy, authenticity and Love. 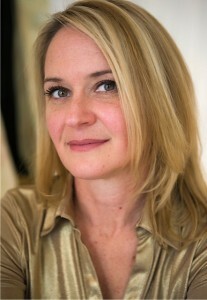 As a contemporary spiritual teacher, Deborah’s passion is to offer practical application for ancient spiritual wisdom. As an author, speaker and mentor of prosperous living, she has created products and services that meet people at the level that they are ready to invest in themselves, from free offerings like her weekly Spiritual AND Wealthy radio show to platinum-level coaching programs. When people are ready to make the necessary shifts to get where they need and want to be in this life, Deborah is excited and able to assist clients worldwide. Although a native Californian, she currently lives in Boulder, Colorado, savoring motherhood, the beauty of the mountains and all the playful shenanigans that come with living a Spiritual AND Wealthy life.